The Chena River is really looking good. 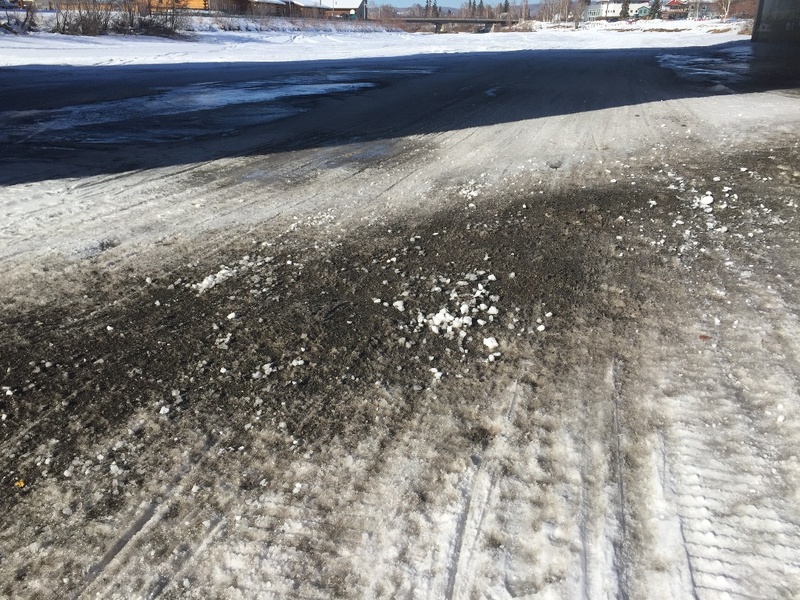 To keep the ski bottoms of Sonot Kkaazoot skiers looking good, we need volunteers to haul clean snow over to the icy and gravel covered area under the Steese Highway bridge. Volunteers with shovels and sleds are needed from 5 to 8 p.m. Wednesday evening, 25 March 2015. Bill Husby is organizing this event and will have sleds and shovels available if you don’t have them. If we get enough help, we can set up several snow stockpiles to be spread on Friday night/Saturday morning. Meet at the Graehl Land boat launch. Questions: Bill Husby at 460-2130. Here’s what the trail looked like today. Photo by Bill Husby. This entry was posted in Uncategorized and tagged Chena River, Volunteers with snow shovels needed by Sonot Kkaazoot. Bookmark the permalink.